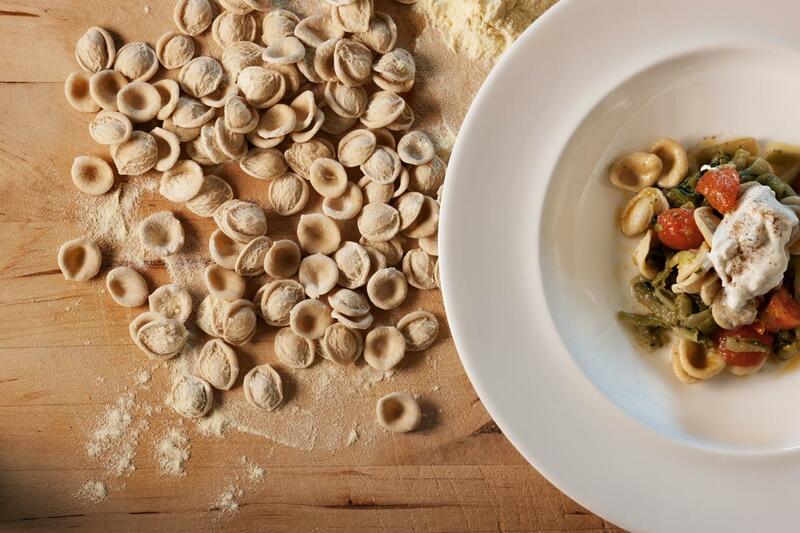 Though you may feel you’ve strayed into Greece, and that’s a part of Puglia’s appeal. 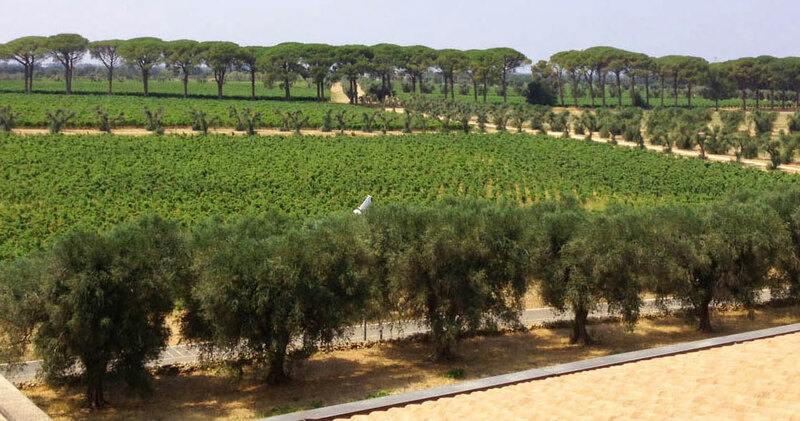 Endless olive groves, a rugged coastline and the blue-green Adriatic. 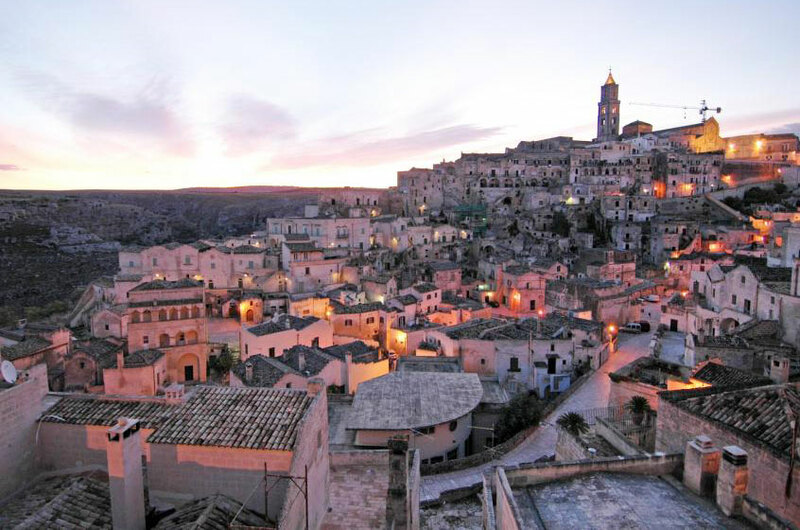 From the Sassi of Matera, in Basilicata, you will head on to the Apulian land. 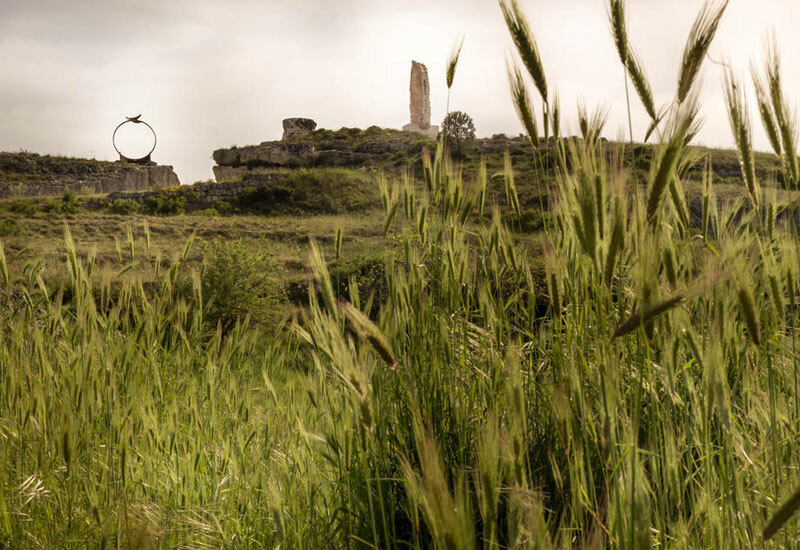 After crossing the Murgia plateau, you will stay in the Itria valley, characterized by a flourishing vegetation where olive trees stand. These are cultivated in farms called Masserie, small typical local stone fortresses. Coasts are marked by long, sandy beaches, dunes and protected natural reserves. There are several traces of old Messapi civilizations, rock settlements, castles and not-to-be-missed trullos made with dry stone techniques. 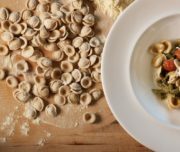 The people are welcoming and down-to-earth, the cuisine rustic and satisfying: enjoy regional specialties that include fresh seafood, orecchiette pasta, and Salice Salentino the powerful red wine from Lecce. 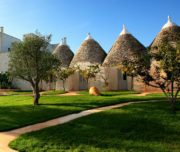 Bike ride past ancient stone villages, prehistoric menhirs and crypts into the picturesque seaside town of Otranto, then dinner by the sea in this former Byzantine stronghold. 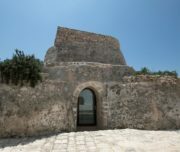 The Aragonese Castle, the cathedral with its impressive Renaissance rose window and the village surrounded by walls, in Otranto. 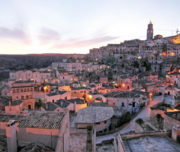 Arrival in Matera by bus or by private transfer. Meet and Greet. 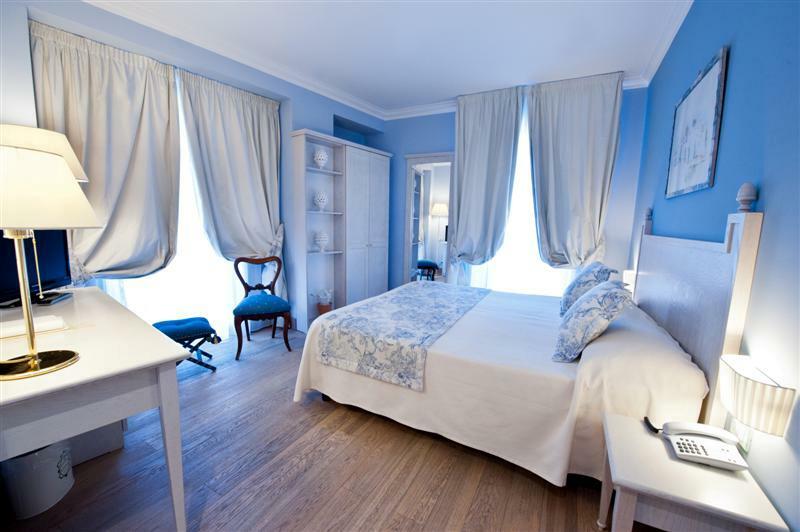 After your arrival in Matera and get settled in at your hotel. Briefing, orientation and bike fitting. Humans inhabited the canyon's caves 9,000 years ago in what UNESCO calls the most outstanding example of a troglodyte settlement in the Mediterranean. Immerge yourself in the otherworldly feel of this ancient town, with its intriguing history and sublime views! 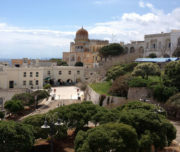 On request we arrange a guided walking visit of the Sassi , the ancient Matera districts, and the Park of Rupestrian Churches. 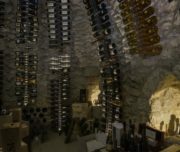 Enjoy a dinner in a typical restaurant carved out in the Rock that we will suggest. 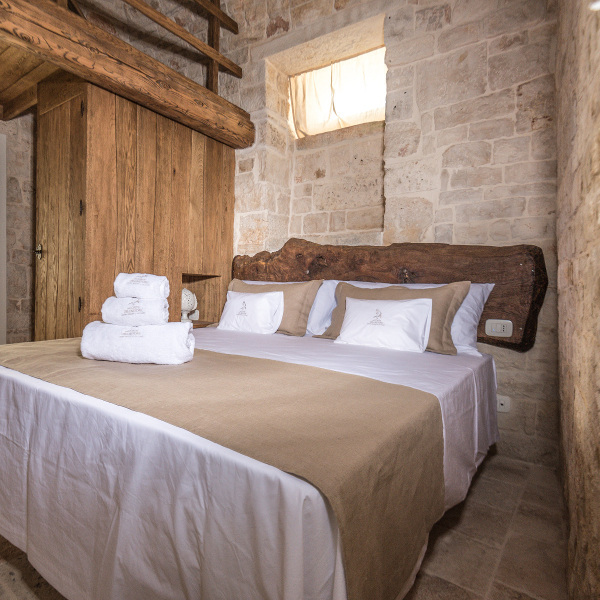 Accommodation in a Trullo house or a restored farmhouse. Crossing the Itria Valley, with stops in the characteristic Locorotondo and Cisternino, you will reach Ostuni, which is reputed an architectural jewel, and is commonly referred to as “the White Town” for its white walls and its typically white-painted architecture. It spreads across three hills, amidst its tangle of whitewashed streets you could be in Greece. Ostuni’s winding alleys are covered in bougainvillea and other lush hanging plants and flowers that perfectly accent the brightly coloured doors and windows. The town’s much-photographed Piazza della Libertà boasts a cathedral that was built in the 15th century in the late Gothic/early Renaissance style. The town is also known for its clay figurines, called fischietti, which are actually functioning whistles! 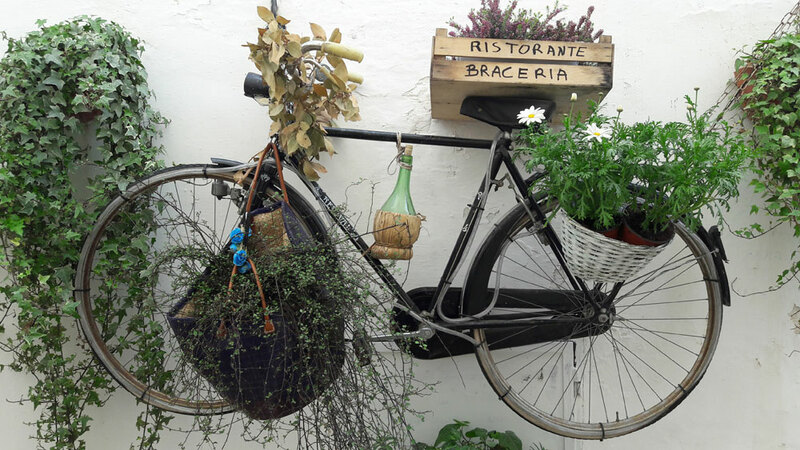 Cycling south through the quiet country lanes from Ceglie to the charming town of Francavilla Fontana and on to Oria, famous for its 13th Century's Castle and delightful historic centre. 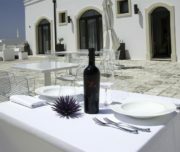 You will reach a Masseria, a typical Apulian converted farmhouse, your accommodation for the night. 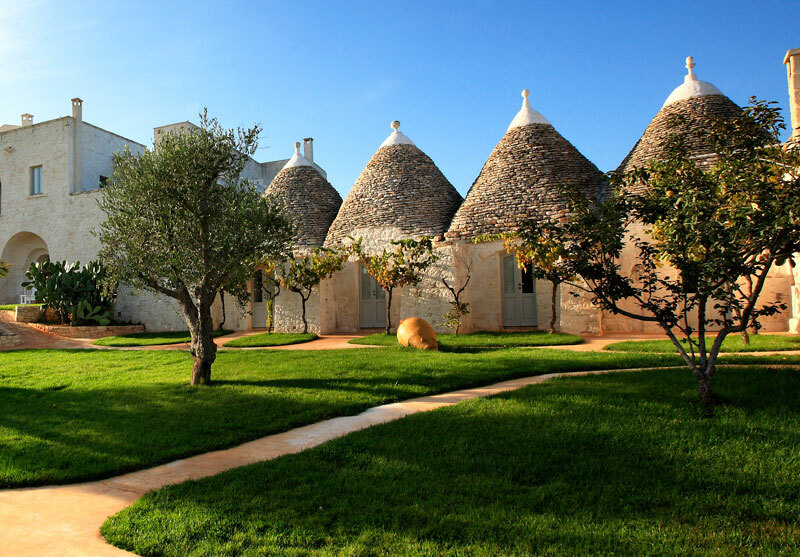 The word masseria means ‘farm’ in Italian and stems from the Latin word massa, meaning “fortified agricultural village.” The Latin definition is quite fitting, since these gorgeous farmhouses dotting Puglia’s coastal landscape are structured much more like castles. First built during the 16th and 17th centuries, these vast areas of land were initially gifted to the nobility under the feudal system. Have a picnic on a sandy beach and try to swim if the weather is nice. Distance 71 km/44 miles Difficult: moderate to challenge. 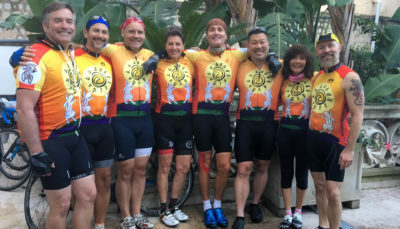 Cycling to Otranto,Cycling to Otranto, the route will take you to the wildest and eastern rocky coast of Southern Italy. The sun and the atmosphere is unique in a place where Turkish and Greeks landed centuries ago. 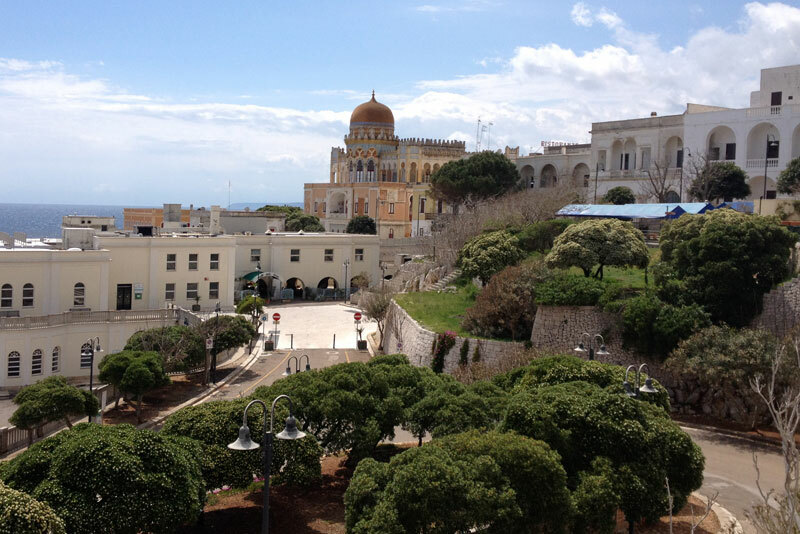 Otranto has a wonderful centre with walls and a castle. Otranto is best appreciated in its amazing cathedral, where the bones of 813 martyrs are displayed in a glass case behind the altar. Less macabre is the cathedral’s other jaw-dropper, its medieval mysterious mosaic floor, a masterpiece. 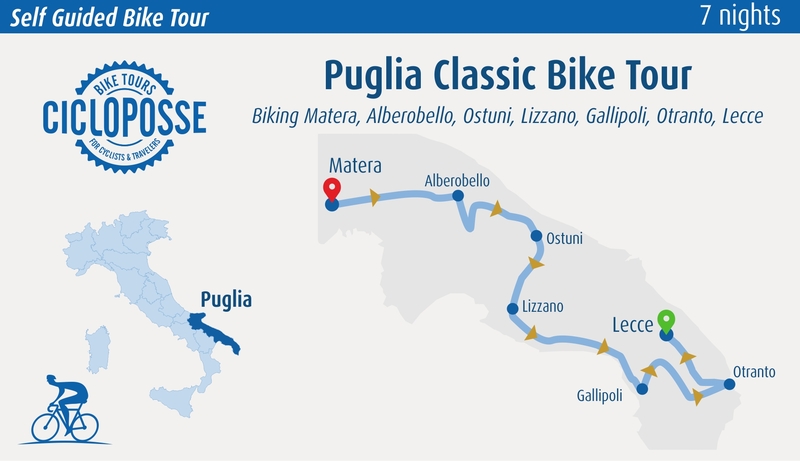 Last stage will take you to Lecce, the Baroque town with wonderful façade of buildings and churches. You don’t come by the nickname “the Florence of the South” lightly. But with stunning baroque architecture, gorgeous views of the Salentine Peninsula and an abundance of Puglia’s famous wine and olive oil, Lecce is a work of art unto itself. Take a walk in the beautiful historical center of Lecce, losing yourself among its baroque palaces, do not forget to visit the cathedral and its square, the Church of Santa Croce and Amphitheater. Taste a puccia: local bread filled with salami or vegetables, and the pasticciotto, a delicious pastry, and enjoy shopping and walking in the city centre. 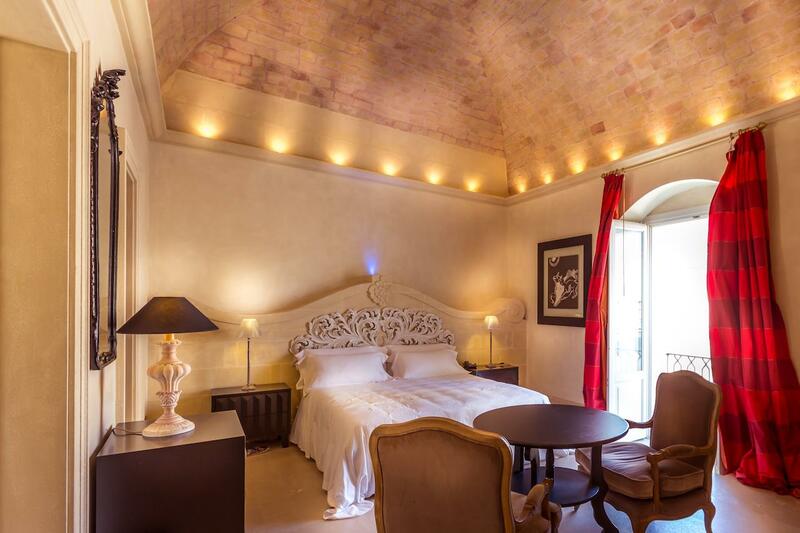 The Palazzo, after its ancient and noble scenario, has been renewed and has opened its doors to the town as well as to travelers. Keeping up its luster in its new life, turned Palazzo Gattini into a historic place of value, giving it new life, sophistication and refinement. Suffused and gentle lighting invites you to slow down the pace, and gives you the pleasant relax and creates warming moments. 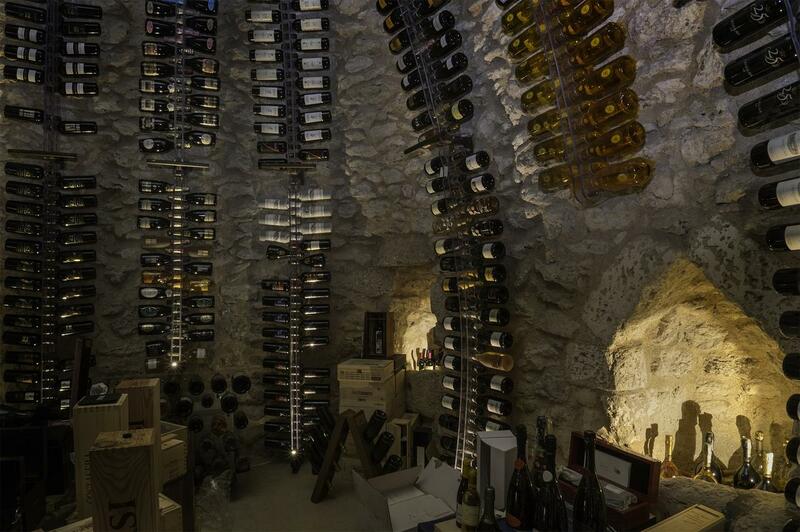 La Corte dell’Astore is formed by eight ancient buildings dated back to a millenary tradition. The interiors are made of stone according to a primitive technique and they recall the art of making these simple dwellings an example of perfect structural stability. 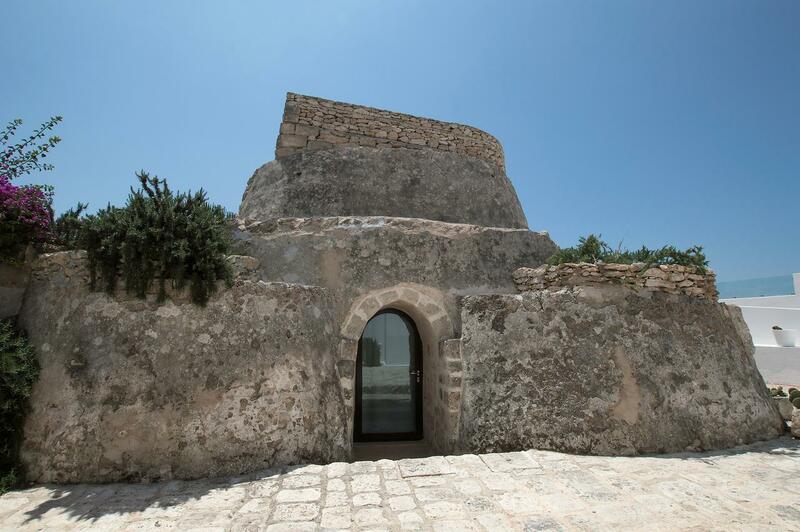 In these dwellings that have the form of cylinders covered by cones, you can live in a dreamlike period, when simplicity was the real richness, the stone was an element of worth and tradition was a legend. 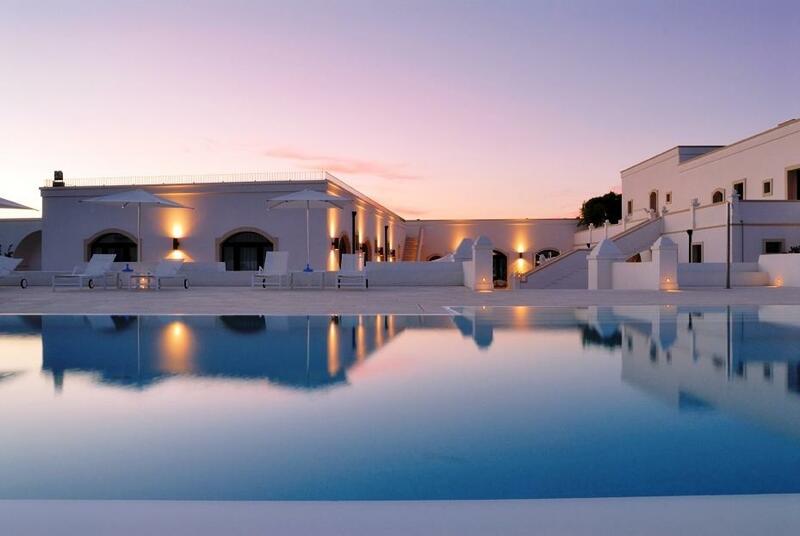 The Ostuni Palace Hotel is a 4 stars luxury hotel in the centre of Ostuni, is astylish places, ancient atmospheres and a suggestive elegance: the most modern comforts with an excellent service will make your visit to this wonderful land special. 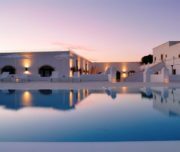 Masseria Bagnara Resort & Spa is an oasis of peace and tranquility, illuminated by the warm sun of Apulia that caresses the white walls of this ancient country house, restored, respecting the local tradition but with features and details that revisit the personality and history of the place, creating a unique scenario where guests can feel pampered since their arrival. 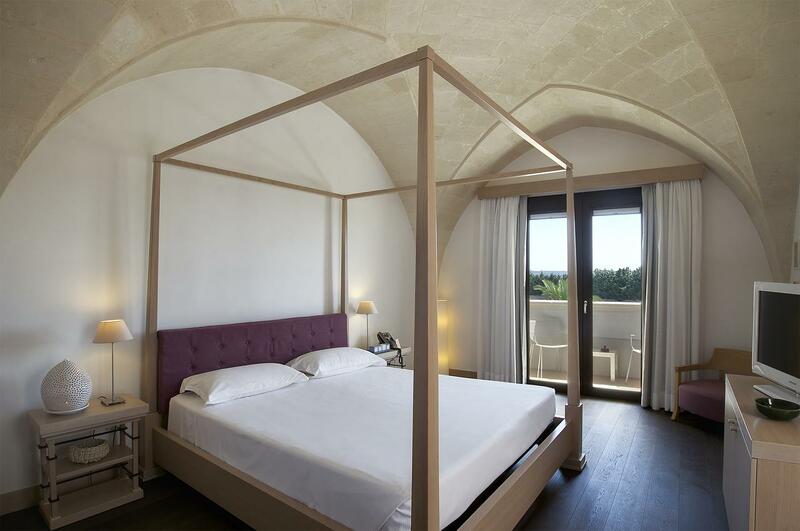 The five star luxury Hotel Palazzo Del Corso is an elegantBoutique Hotel situated in the main street of Gallipoli, just a few steps awayfrom the old town centre. Born from the renovation of two ancient buildings of XIX century, the Hotel reflects the love for luxury and the attention to detail. Panoramic terrace with a hydro massage-pool. 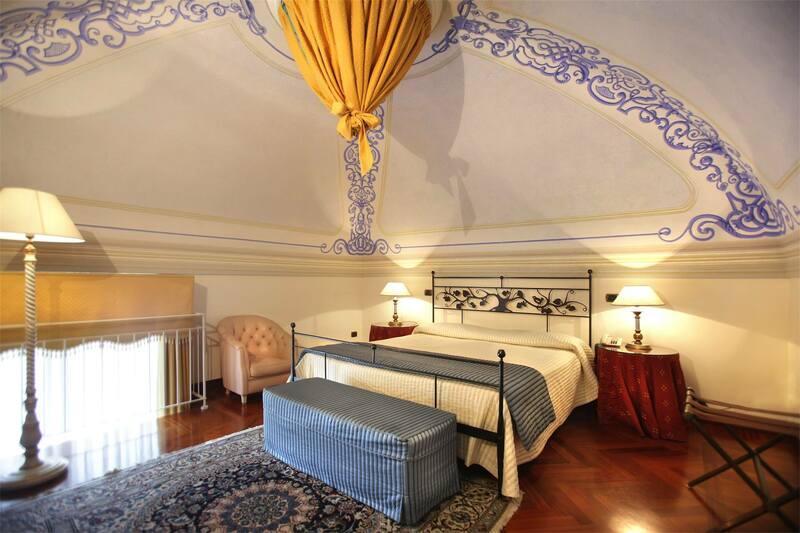 Who loves the sea and the charm of ancient villages and of history will enjoy Palazzo De Mori! 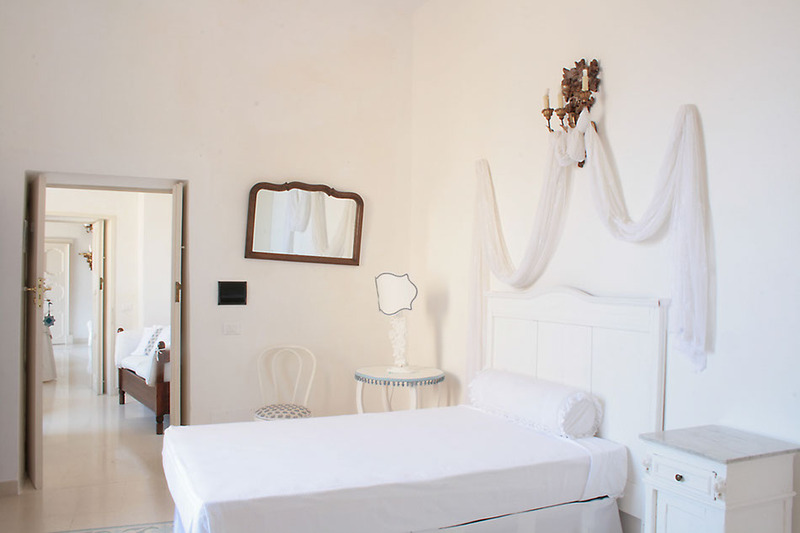 It offers a welcoming and familiar hospitality with service of Bed and Breakfast in Otranto. Palazzo de Mori is situated on the bastions of Otranto, in the embroidery of the narrow and winding tiny street of Otranto old centre, near from the little Byzantine church of San Pietro, from the aragonese castle and from cathedral known for its wonderful mosaic. 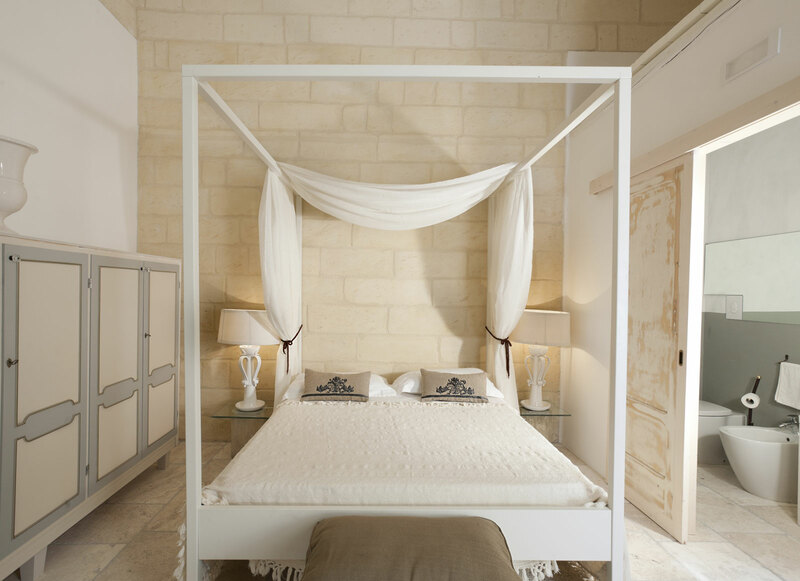 Palazzo Dei Dondoli: charming, boutique style, exclusivity, in the heart of beautiful Lecce art city and Salento. Housed in a residence of the '900,the palace includes within it the charming Court of swings, a small agora, the heart of the palace, who won all the senses. City Tax each village charges a tax per each day between euro 1 to 4,00. Our tour has come to an end. All worked extremely well. 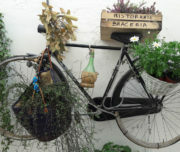 The bikes are locked up at the Palazzo Guido. They are safe. It would have been wonderful to have stayed another day by the beach as beaches are so amazing. Perhaps suggest that in itinerary as an option. 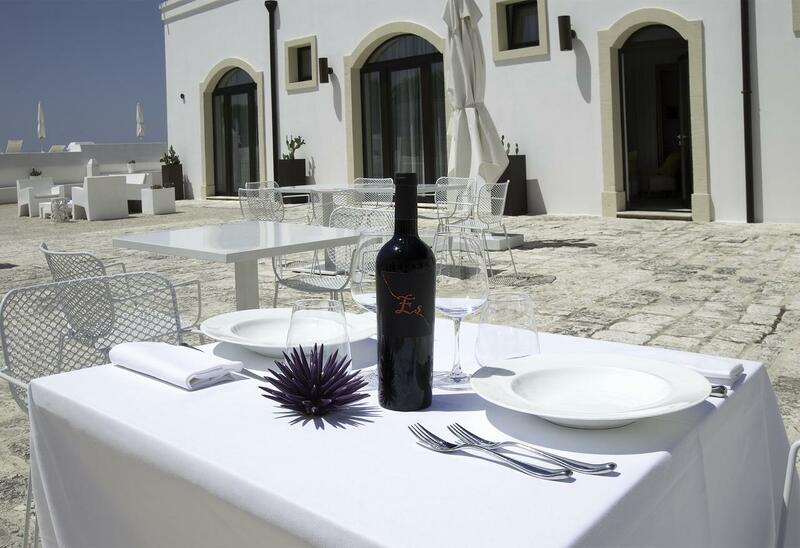 You could suggest departure time to be earlier on the day staying at the Masseria. We did this and loved relaxing by the pool in the afternoon. Days biking were great. Each place totally different to the next. km were good and no problem for us.